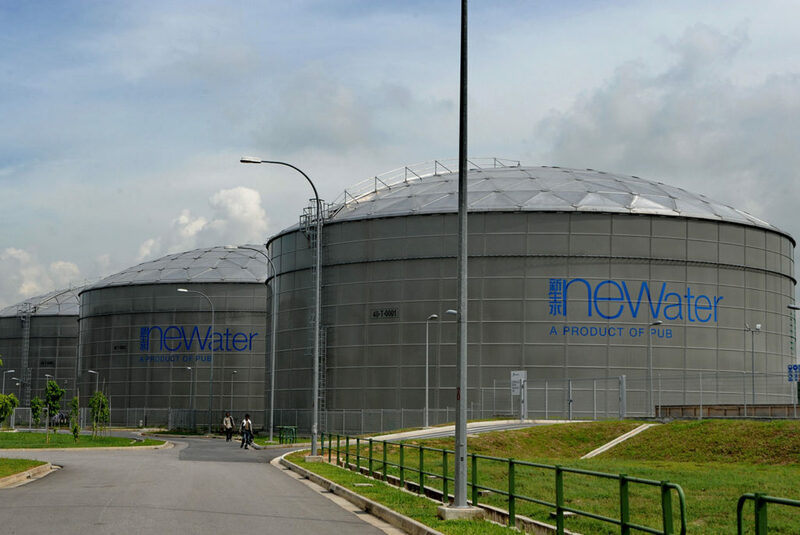 Storage tanks of recycled water at the NEWater plant in Singapore. 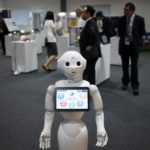 When Singapore said it would not renew a water-supply pact with Malaysia, the news hardly caused ripples in a nation where technology is now flowing through the taps. Hong Kong relies excessively on the mainland for necessities such as food and, particularly, its water supply. It must take a hard look at its continued dependence on the Chinese mainland for its water and the resultant costs of such dependence. It need look no further than the city-state of Singapore, which offers valuable lessons on how to aim for self-reliance in water supply. As Hong Kong lacks natural water resources such as large rivers, natural lakes or underground water, it is dependent on the mainland for this resource. This water supply is provided by the Dongjiang River. The 562-kilometer-long river originates in east China’s Jiangxi province and flows to the Pearl River Delta in Guangdong. Struck in 1965, the DongShen Water Supply Agreement stipulates that water from the Dongjiang River in Guangdong will flow to Hong Kong. The deal that supplies over 70 percent of Hong Kong’s water has increasingly come under scrutiny. It will be time again at the end of the year 2017 to renew Hong Kong’s water supply agreement with the Guangdong province. However, in recent years Hong Kong’s displeasure with the agreement has been mounting. Since 2006, Hong Kong has been getting shortchanged under Guangdong’s “lump sum package deal” approach. This arrangement stipulates that Hong Kong has to pay a fixed price for the water, regardless of actual use. Since then, the agreement has cost the city HK$4.5 billion ($580 million) for water it did not consume. Also, the price of imported water from Guangdong has doubled in the past decade, due to increased competition for water from the Guangdong reservoir. 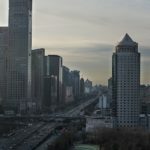 The population in cities located near the Pearl River Delta has been booming, and water from the Dongjiang River Basin has been depleted by 30 percent in the past decade alone. Water technology is crucial to reducing Hong Kong’s dependence on the mainland for water. Further exacerbating the problem, the Hong Kong government has not increased water tariffs since 1995. Hong Kong’s water pricing follows increasing block tariffs (IBTs), where the government fully subsidizes the first block of water consumed. Essentially, taxpayers are paying half of every household’s water bill. Hong Kong’s low water tariffs result in its citizens being among the top consumers of water in the world; the city’s water consumption in 2015 was 21 percent higher than the global average. 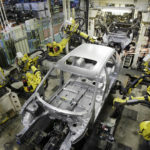 Also, a huge amount of water—about 32.5 percent of total production, or 321 million cubic meters—is lost due to theft and leakage. Another reason for Hong Kong’s high dependency on mainland water is the failure to develop other water resources in tandem with the city’s population growth. In fact, Hong Kong’s imported water as a percentage of water supply experienced a stark increase from 22 percent in 1965 to 76 percent in 2012. This increased dependency on the mainland for water is likely not sustainable. Here it would be useful to draw a comparison between Hong Kong and Singapore—a country similarly resource-poor and reliant on its larger neighbor for water. Singapore signed its first water agreement with Johor in 1961, and, at that time, water imported from Malaysia equaled half of Singapore’s water demand. 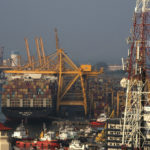 However, imported water makes for less than 35 percent of Singapore’s demand today. By 2061, when Singapore’s latest agreement with Johor expires, the city-state is expected to be self-sufficient despite the nation’s water demand doubling. 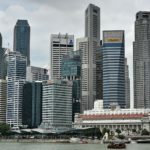 Singapore’s progress in water security is mainly attributed to its advancement in water technology, most notably recycled wastewater (NEWater), desalination, and stormwater harvesting from highly urbanized areas such as the Marina Reservoir. In comparison, as recently as in 2015, Hong Kong’s water supply comprised rainwater from catchments, imported water and seawater for toilet flushing. Establishments for desalinated water, water reclamation and recycled water are still in the works. If Hong Kong is serious about reducing dependency on the mainland for water, water technology has to be a crucial aspect of that strategy. Chief Executive Carrie Lam’s new administration in Hong Kong would do well to leverage on the city’s bilateral ties with the nation-state and learn from Singapore on the matter of water security for its people. For one, Hong Kong has to reformulate tariff structures equitably to reflect the increasing cost price of imported water. For example, in July 2017, Singapore increased water prices for the first time in 17 years, with minimal to no increments for needy families and rebates distributed to Housing & Development Board (HDB) households—those living in Singapore’s public housing. Hong Kong’s efforts in desalination and recycling should also be stepped up, following in Singapore’s footsteps toward increased self-sustainability. Collaboration with research would greatly assist this pursuit. With the similarities that the cities share, Singapore can prove to be an invaluable partner for Hong Kong in the Asia-Pacific region. In the meantime, as the end of the year approaches, Hong Kong’s new administration will have to renegotiate the DongShen water supply agreement. One can only hope that this time, the price tag will reflect the true costs that Hong Kong has borne. A version of this piece first appeared on WaterPolicy.online. 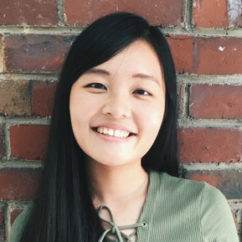 Shanisse Goh is a water policy researcher at the Institute of Water Policy at the Lee Kuan Yew School of Public Policy, National University of Singapore, where she is also a student of political science. She interned at the Ministry of Social and Family Development, assisting in policy planning for youth at risk.